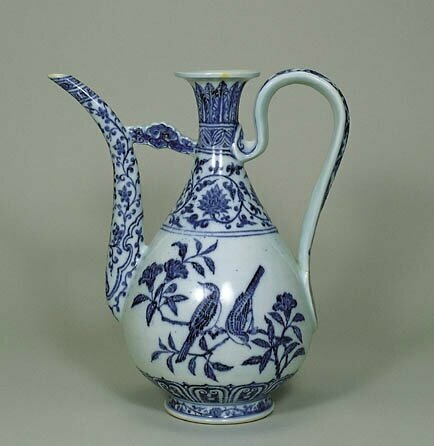 Blue-and-White Ewer with birds on a Branch Design, Ming Dynasty, Yongle Period (1403-1424), h.33.7cm. Gift of SUMITOMO Group, the ATAKA Collection. Acc. No. 10893. The Museum of Oriental Ceramics, Osaka. © 2009 The Museum of Oriental Ceramics,Osaka.